SiriProxy is really an awesome project that comes from Cydia and has many awesome features. We’ve already seen Siri controlling a car, launching television and launching apps. This time we are really amazed of what SiriProxy can do when it combines with the iPhone 4S digital voice assistant, Siri and some props. Unbelievably, Siri has been modified by a developer to control an entire room. 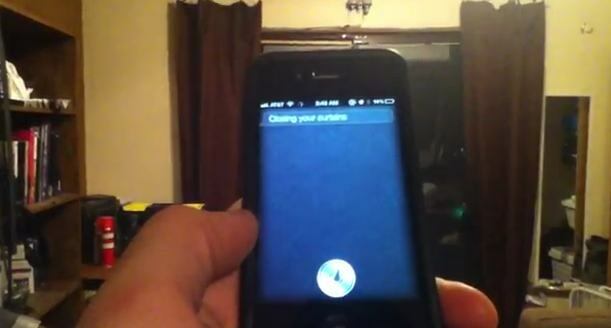 A developer named phildman14 put up a video on youtube demonstrating how Siri is controlling his entire room. Check it out below. The video shows that he can use the power of voice and Siri to control curtains, fans and lights.